Before his clients walk, physical therapist Drew Morcos DPT ’07 first shows them how to crawl — literally. Morcos counts among his clients elite athletes like Seattle Seahawks quarterback Russell Wilson, Oklahoma City Thunder forward Carmelo Anthony and Pittsburgh Steelers wide receiver Antonio Brown. (When the athletes he works with burst a tendon or tear a ligament during a game, Morcos is known to quickly hop on a plane to help.) His rehab secret is a back-to-basics philosophy rooted in developmental kinesiology. The Prague School of Rehabilitation calls it “dynamic neuromuscular stabilization,” which asserts that the body’s most natural — and successful — movement patterns begin in infancy. “Parents have never told their kids, ‘This is how you turn to your stomach or this is how you crawl,’” Morcos says. “All of those movement patterns are innate in the brain. What we do is apply that kind of methodology to the adult or the athlete by attempting to retrain the brain to allow for proper muscle activation without compensation.” According to Morcos, this technique enables athletes to reset the brain and recall the movements that were ingrained during brain development. Morcos’ career took off in 2010 when he returned to USC as director of rehabilitation for USC Athletics. 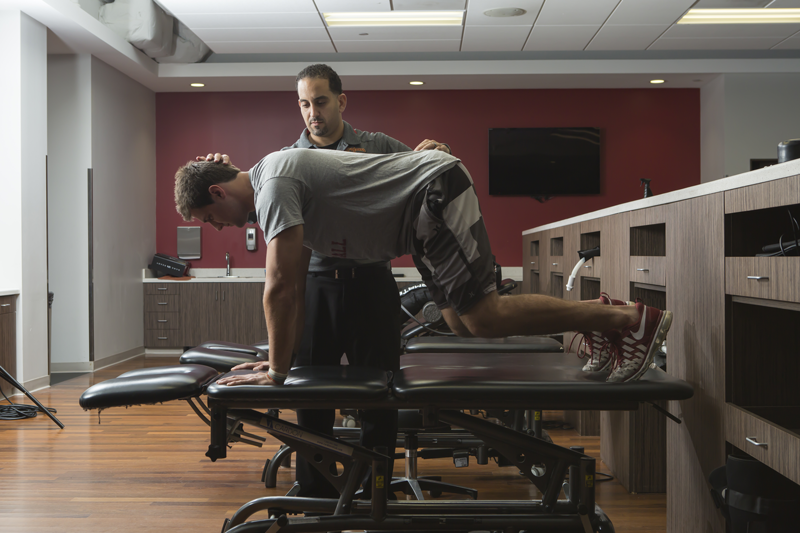 He credits his 5-year stint at USC for imbuing his work with a sense of urgency that helped make him a more creative, efficient physical therapist. Morcos founded Orange County, California-based MOTUS Specialists Physical Therapy in 2016 with the aim of carrying that work to a broader client base. (Motus means “movement” in Latin.) He now treats everyone from NFL stars to professional boxers and Olympians, as well as his share of weekend warriors. Each one is unique, something Morcos says is both his greatest challenge as well as what invigorates him most. Yet no matter how large his practice grows, USC is never far from his work. Morcos regularly returns to campus to lecture, and counts a long list of Trojan alumni as clients, including quarterbacks Sam Darnold and Matt Barkley. 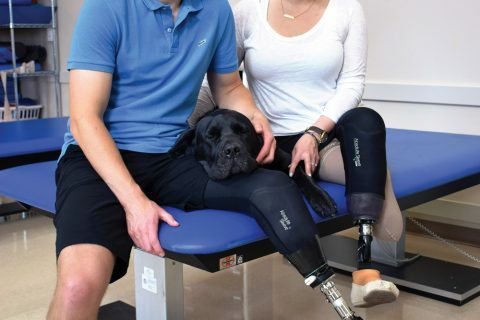 The university even played a role in his marriage: Morcos and his wife began dating while the two were enrolled in the Doctorate of Physical Therapy program at the USC Division of Biokinesiology and Physical Therapy. And while he works 40 miles south of campus, he rarely goes a day without bumping into someone with a shared connection to Troy.